Summer is just around the corner and we'll be warm on the sand and swimming before we even know it. Have the perfect companion with you when going on beach trips with this Lifesaving Inflatable Swim Rescue Bracelet. Stay safe while you brave the deep sea or even just the pool! Airbag uses TPU composite material, it is wear resistant and durable enough. 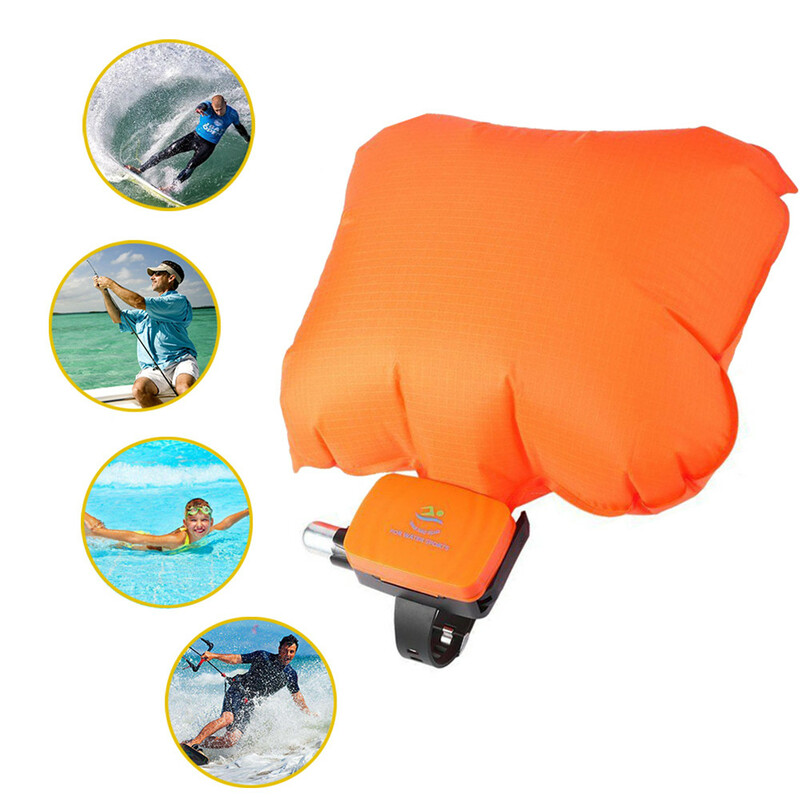 Perfect for swimming, surfing, fishing or even diving. Adjustable strap fit different sizes of the wrist, not only for adult but also for children. Buckle is made of plated metal, it does not rust. Soft silicone wrist strap ensure comfortable and safe to wear.